Here's the last of the posters I photographed at Mom and Dad's before giving them the reluctant go-ahead to start recycling. I wonder how many of the space launch centres indicated on my map still exist? How many others have sprung up, and where? The Space Centres was drawn on construction paper with felt marker. 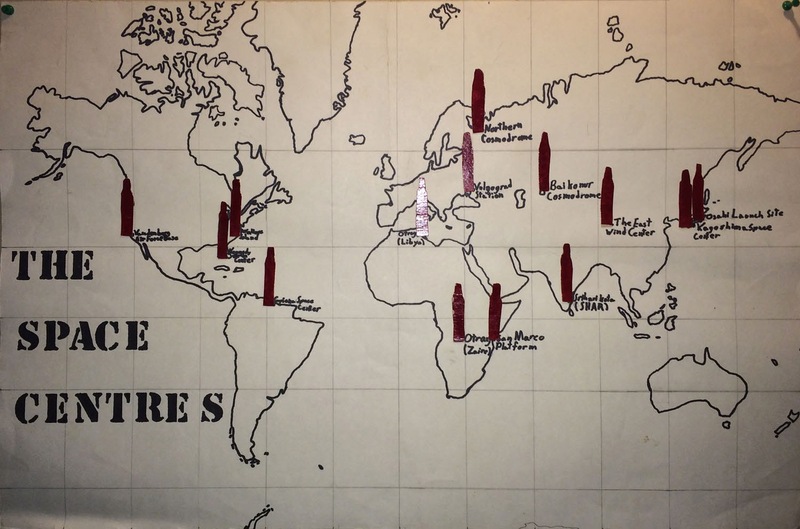 The rockets were cut out of construction paper and painted with red model paint, then glued onto the map. O Atari, Where Art Thou?